Retired Marine Sergeant Major, Vietnam Veteran and Drill Instructor Sam Richards is running for the Mayor of Festus this upcoming election. I have known Sam for 20+ years. In addition to his service to our country, he also served his community as a police officer. 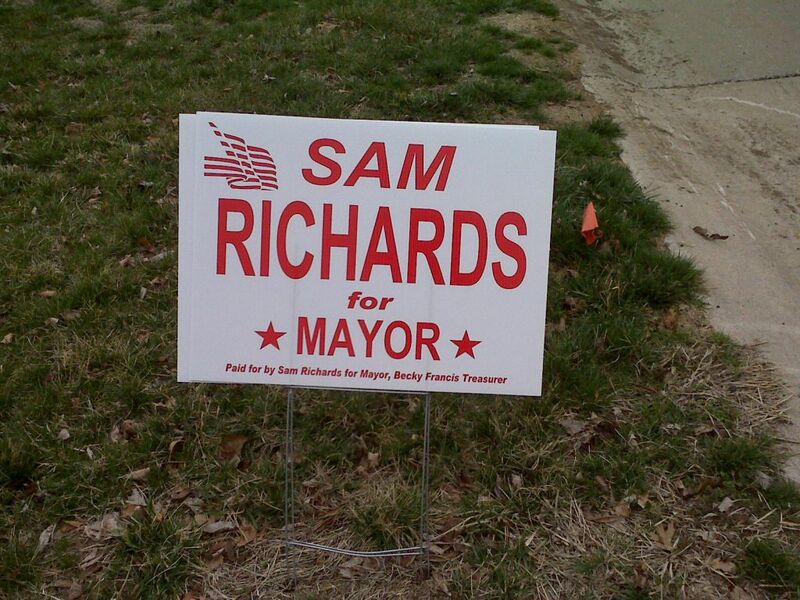 Sam has decided to run for mayor. He would be outstanding in this position. It goes without saying the integrity, honesty and leadership are without question. I have my sign in the yard. This is the picture of the day.